Rc Fishing World goes “Off The Hook Rc Fishing” with Animal Planet! Fish Fun Co. Goes Rc Fishing on Animal Planets “Off The Hook Extreme Catches” New Fishing Show! Get Your Rc Fishing Pole Ready Because Fish Fun Co.’s going to be on Animal Planet’s new TV Series show called “Off The Hook Extreme Catches”! We had Lots of Rc Fishing Fun filming this special episode for Animal Planet! Off the Hook: Extreme Catches Episode: “Carpocalypse Now” Season 1, Episode 10 Episode Synopsis: In the Season 1 finale, Eric goes bow fishing for invasive species of Asian carp in Illinois. The New Show, “Off the Hook Extreme Catches” by Animal Planet and Part2Pictures Follows host, Eric Young or known to his fans as “Showtime“, if the name doesn’t ring a bell, he’s a Pro Wrestler on “TNA”. He is great to work with, so was the whole crew! But never until we showed up had they ever even thought fishing with remote control boats was possible! Eric was just your average fisherman, until now. We’ve seen Eric go Fishing on Jetskis, Shark Fishing with Pantyhose, (not wearing pantyhose of course) haha. Eric is traveling across the USA seeking fishermen that take fishing to extremes! Rc Fishing on Animal Planet September 30th 8pm! So it’s no surprise that Eric found us, and we had the opportunity to enlighten him to one of the most extreme ways of fishing around. Tune in to your tv on Sunday September 30th 8pm est to Animal Planet, (check your local tv guide for times) and watch Fish Fun Co. bring the World of Remote Control Fishing into your living room! Watch Us Go Remote Control Fishing On Animal Planet September 30th 8pm! Rc Fishing for Trout! NEW Video! 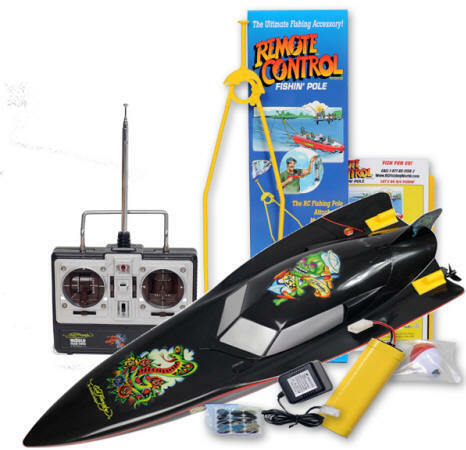 With The RC Fishing Pole and the Radio Ranger Remote Control Boat for Fishing! Our Fish Fun Radio Ranger Rc Fishing Boat is really making the rounds this year with videos from all over! The newest Rc Fishing Video arrived via Youtube yesterday, a wonderful day to catch a trout, in beautiful Washington state! The Radio Ranger always attracts crowds, and this is no different. According the fisherman he caught 4 trout while the guy using a fishing pole only caught 1. Well imagine that, simple, our friend with The Radio Ranger is able to cover more water, he just drives the boat to a new spot if he’s not getting bites. We can’t wait to see the line release in action, hopefully we’ll see a new video out soon showing a huge catch with the line release. For some reason most of the new videos this year all show pulling in the fish with the boat, that’s not hard to understand why, its fun! If you have a Rc Fishing video you want to send us did you know you can get a Free Boat? Thats right, use The Rc Fishing Pole, or our Fish Fun Rc Fishing Boats, put your video on Youtube or send it to us, and pick out a new boat, Free! Keep the videos coming, this is great! 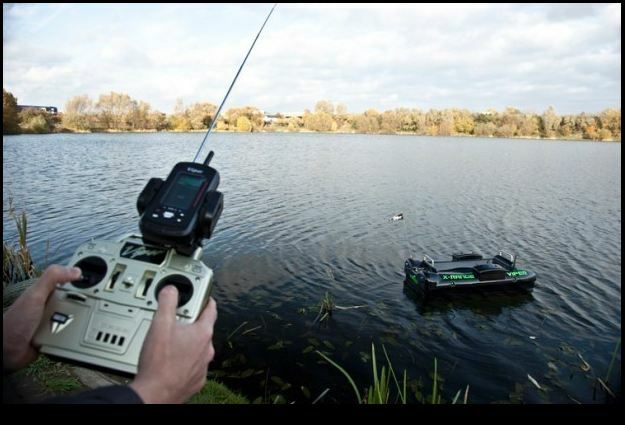 Rc Fishing Doesn't Get any Better Than This!